My name is Sam Inman and I was raised in Sandpoint, ID. I loved growing up in Sandpoint because there was so much to do and it was a great community to be raised in. I am extremely close with my family and we spend time camping, fishing, hiking, and bike riding. I graduated with my Bachelors degree in Social Work at Lewis-Clark State College. I am involved in committees in the community dedicated to helping at-risk populations. I have a hard work ethic and value honesty, integrity, and respect. I am able to effectively help people identify their needs and reach their goals. My goal as a Realtor is assisting my clients in buying or selling their home and getting all their Real Estate needs met. I work around my clients schedule and work evenings and weekends. 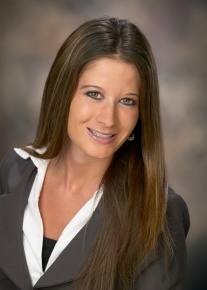 I have the time and dedication to help you with all of your real estate needs. I care about my clients and am committed to working hard to make sure all their real estate needs are met. I will work closely with my clients and their best interest is my #1 goal. I am dedicated to professional and quality service. I am commited to meeting all my clients needs including always being available to answer questions and ensuring a smooth transition in buying or selling a home. I am continuously taking education classes and have my GRI(Graduate Realtor Institute) designation to better serve my clients.